Tips on using the four types of yeast is a guest post by Joe Hughes of Village Bakery. You’ve read tips on baking, posts on how to make Artisan bread, but nothing works. If bread seems tedious and scientific, well, it is. You have to be a master of timing, waiting and adding in just the right type of yeast to make sure that your bread comes out perfect. If you miss a beat, you’ll have something that resembles bread, but it won’t be just right. 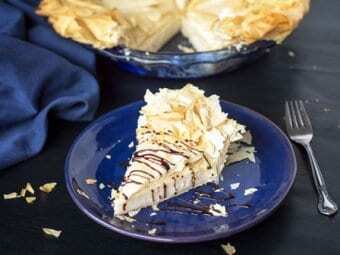 Now that most of the holidays are over, you can try your hand at baking again. 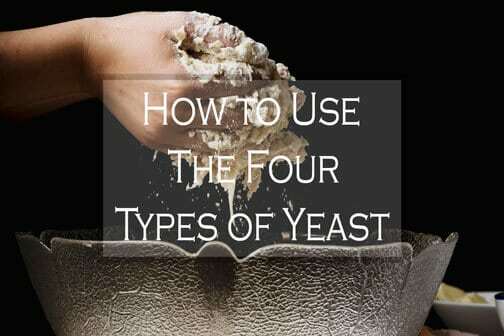 We’re going to uncover the four main types of yeast and how to use them properly. This is one of the must-know ingredients in the bread making process, so pay close attention. Active dry yeast is the most common type of yeast in stores, and you’ll find that this yeast is ideal for most types of bread. In fact, most bread recipes will call for active dry yeast unless otherwise specified. Resembling small granules, this yeast will activate once placed in water. Just a little water will “wake” this yeast up. When using this yeast, you’ll need to proof it. You’ll need to mix the yeast with 1 teaspoon of sugar and a 1/4 cup warm water. You’ll let everything dissolve and let it stand for 5 – 10 minutes for best results. This is essentially activating the yeast, and it’s quite interesting to observe the first time. You can even add a touch of honey to make the proofing process go by quickly. Fresh yeast is often ignored, but it’s still a great source of yeast. In fact, a lot of bakers swear by fresh yeast and the taste it provides to the bread. But, in truth, both yeasts will produce a similar taste when baked by a master chef. You’ll find little blocks of this yeast in the store, and it’s comprised of a single organism. This yeast stays active longer, and it activates faster than dried yeasts. The conversion is difficult, so you’ll need to make sure that you’re using a recipe that calls for a fresh yeast, or convert it yourself. Instant yeast is a yeast that is rather tricky because it has issues when using a bread maker. Since these machines are used at high temperatures, they will cause the dough to rise too quickly. Active dry yeast is preferred in this case. Introduced in the 1970s, this yeast acts similar to active yeast, but it’s dried faster. Instant yeast is milled much finer than active yeast, so it’s able to act faster. When dissolved, the yeast will activate quickly, but it doesn’t need to be placed in water. You can mix it right into your dry ingredients, skipping over the entire proofing step. Rapid dry yeast is pretty much the same as instant yeast. You’ll find that this yeast is highly marketed, but it’s almost identical to instant yeast. You won’t need to proof this yeast, and it will have additional additives to make it rise faster. Enzymes are added to the yeast so that you can add it to dry ingredients and it will rise. 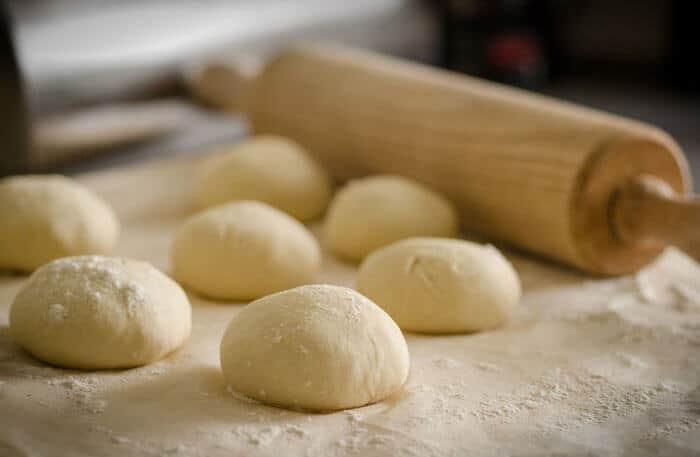 One major benefit is that you can skip the first dough rise and move right into kneading the dough with rapid dry yeast. I find this yeast to be used sparingly, but when you’re in a rush for your loaf of bread, it’s a great go-to option. You need to become a master of your chosen yeast, and there is no right or wrong answer here. Everyone has their own choice of which yeast to choose, and I recommend that you choose to experiment. Most people will use active or dry yeast, but why not learn how to use the others. While the tastes are similar, it’s fun to experiment. And many artisan breadmakers will swear by the fresh yeast, so why not give it a try, too? 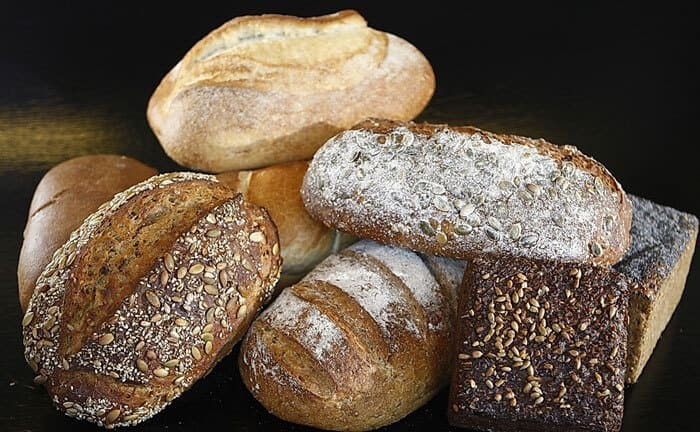 You have nothing to lose but the potential to make mouth-watering bread. Note: Some recipes will warn against using a certain type of yeast, and in this case, it’s best to adhere to the recipe’s directions. Baking is an art, and as you put more time and effort into the process, you’ll learn how easy it really is to make great bread. You’ll even be able to make some great pizza once you get the knack for baking. 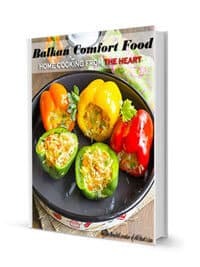 And why not learn how to make traditional Balkan bread while you’re at it? Bio: Joe Hughes, known by most as the Village Baker, is an expert in homestyle cooking techniques, with a primary interest in baking. He runs the very popular website, http://www.village-bakery.com, which provides the latest homestyle cooking news, techniques, tricks, and recipes. He can be reached at Joe@Village-Bakery.com. Thank you, Joe, for these awesome tips on the four main types of yeast. Admittedly, I’ve never paid much attention to which yeast I’m picking up at the store, but these tips will help my selection in the future. See this post featured on Tumbleweed Contessa and Grandma’s House DIY. Not stupid at all! My mom always used only fresh yeast, but our stores here don’t carry it. I’ve been using all of the other three, but never really knew the difference (kind of embarrassing for a food blogger, don’t you think? LOL) They all got my dough rising though, ha! Hugs and smiles across the miles! Visiting from Tune in Thursday. Thanks for sharing this informative post. It is very helpful. Hopefully it will help me improve in baking with yeast. I have learned a lot here. Thanks again. Hi, Cheryl! I’m so glad you found this post helpful! Joe did a great job explaining it, didn’t he? Have a wonderful weekend and thanks for stopping in! This is a great idea for a post. It’s nice to have info on all types of yeast in one place. My mom would use fresh yeast. I can remember seeing it the store. But I don’t think I see it now. Excellent review of the different types of yeast. Thanks for sharing at What’d You Do This Weekend? Great to know. Thanks for sharing at To Grandmas House We Go. I never feel confident about working with yeast but thanks to your tips I might give it a try. Thanks for sharing with us at #overthemoon. I’ve pinned and shared. I had no idea there was a difference in the yeasts! Thanks for sharing this info – and Thanks for sharing on the What’s for Dinner link up!! Nice roundup of the types of yeast! I love using the rapid dry yeast for pizza dough, works like a charm! Hi, Milena! I haven’t made pizza dough ever since I discovered naan bread – makes for perfect pizza crust when in a pinch (like the European style pizzas I like). Have a wonderful week! Thank you Jas for linking up at the #BloggingGrandmothersLinkParty. I shared this post on Facebook, Google+, Pinterest, and Twitter. 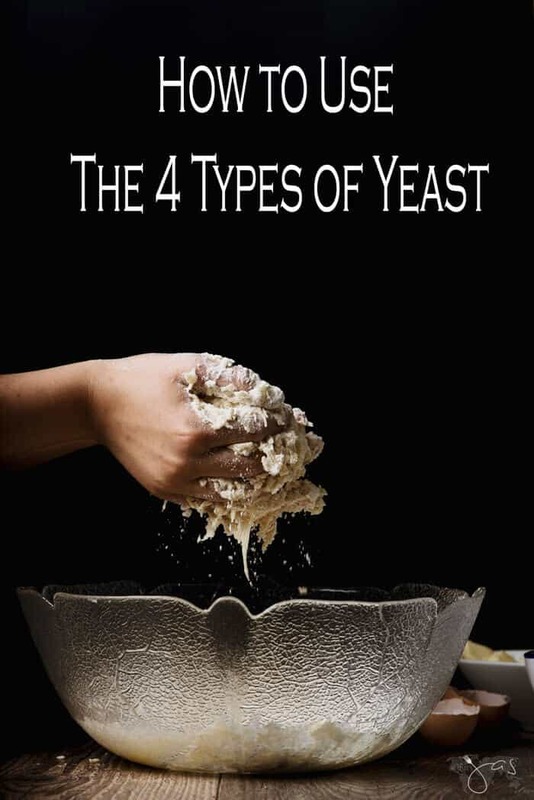 I had no idea there were four kinds of yeast. I have a new goal for when I retire–make bread, lots of bread! Thanks for linking up at #BloggingGrandmothersLinkParty. I’ve shared this post on Twitter and Pinterest. There’s nothing more comforting than a loaf of good bread 🙂 Thanks for sharing! Such great tips – pinning for later! Thanks for sharing with us at the To Grandma’s house we go link party – I’ll be featuring you tomorrow morning when the next party goes live! Thank you for sharing with #BloggingGrandmothersLinkParty. I’ve shared your post on social media. Thank you for sharing at BloggingGrandmothersLinkParty. I’ve shared on social media. I didn’t know there were 4 different kinds of yeast – I actually pinned your post so I could come back and read more, especially when I need to bake using yeast again. I am so glad you could join the party last week at #TuneInThursday. I am so sorry it has taken me so long to get around to commenting on your post, I had a retreat I was speaking at this past weekend, and it put me behind a few days. Thank you, Debbie! Much appreciated! Thank you for sharing this at #BloggingGrandmothersLinkParty! We look forward to seeing you again at the next link up! Thanks for stopping in, Donna! Very informative. I had no idea there were different types of yeast. Thank you for sharing at #BloggingGrandmothersLinkParty. I’m sharing your post on social media. Thanks, Mimi! Live and learn, right? I didn’t realise there were different types of yeast! 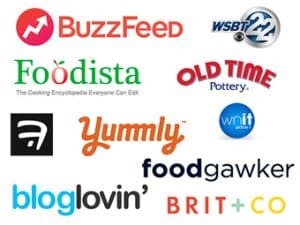 Thanks for sharing with us at #BloggingGrandmothersLinkParty and hope to see you at the next one. This post is informative. I didn’t know there were several types of yeast, I just thought yeast was yeast. You are never to old to learn something new. Nope, never too old. 🙂 Thanks for stopping in!